Snow is falling, bells are jingling and we’re all rocking around our trees…oh yes, the countdown to the big day is definitely on! Everyone has a favourite part of the holidays. It could be decorating the house, doing the mammoth present shop or just enjoying a few days off work. For me, it’s the food. There’s nothing better than the pre-Christmas cook. Conjuring up homemade Christmas puddings, mince pies, sausage rolls and stuffing. Planning all those overindulgent treats and deciding what adventurous desserts to make. It takes not just hours, but days…weeks even. And it seems I’m not the only one who’s obsessed with festive food. By now most of us have seen Nigella Lawson pop up on our screens to remind us how to roast the perfect potatoes or make a delicious midnight snack from leftover sprouts. 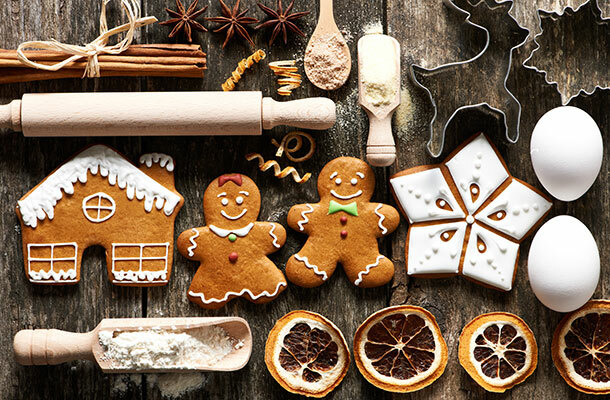 If not, you've probably encountered shops and online stores filled with shelves dedicated to Christmas cookery books. All with the aim to make your festive frivolities go with a gastronomic bang. This Christmas, I’m going to wow my family with a perfect (and deceitfully simple) chocolate mousse. I won’t tell you what it contains or where to find it, as I don’t want to spoil the surprise. But where do we stand when it comes to taking these recipes from the page to the pan? Recipes (and the books or websites they’re contained in) are generally protected by copyright. This protects the way a recipe looks on the page, how it’s typed and the sequence of words that make up each step to the perfect pud. What it doesn’t protect is the mix and quantity of ingredients that form the basis of the bake. It’s the visual representation of the recipe that’s protected, not the idea behind it. In theory, anyone can use and recycle a recipe. 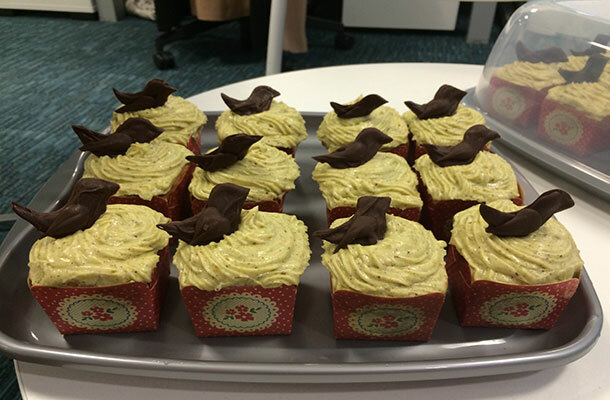 Which, to be honest, is lucky for us here at the IPO as we do like a little bit of a bake-off! Regular blogger Chris Smith is the mastermind behind the Innovation Directorate’s triannual baking competition. The contest combines baking skills (or lack of), with some good old fashioned team bonding and a healthy slice of money raised for charity. Of course, it also fills our bellies and leaves us feeling a little bit sick for days afterwards! The premise is a simple one. Plucky potential bakers produce a culinary delight to dazzle their colleagues. A few hours of tasting and voting later, we end up with a prize-winning entry. Our Christmas competition took place just a few days ago. So it seems fitting to celebrate the event now and share some of our handiwork. And, as the IPO owns the copyright to these photos, it’s perfectly legal to do so! With such a variety of baked goods on offer, it was always going to be a close call. The (well deserved) runner up was ‘A Christmas Carol-mel cake’, the masterpiece of Deputy Director Guy Robinson. A sensory feast for the taste buds and eyes alike, the appearance of the cake left most people speechless. But one person still pipped Guy to the post (probably crossing themselves off his Christmas card list in the process). 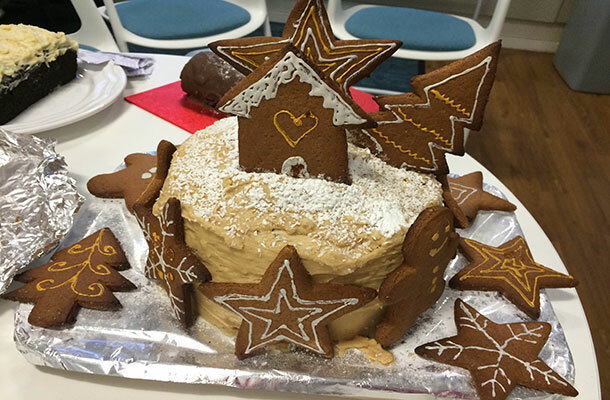 The champion bake for Christmas 2015 belonged to Gemma Thomas of the Customer Insight Team. Her Partridge in a Pear Tree cupcakes really were top of the baking tree and proved this as they flew off the table. Treating your friends and colleagues to an ‘inspired’ reconstruction of a Mary Berry classic is ok. Just don’t gift it to them as a word-for-word copy of a recipe out of a book - that could cook up a whole different type of sticky mess. Well done to all for such involving! Responses to the cookery classes has been phenomenal as we even had a waiting list for places. Why does the IPO own the copyright to these photos? Is it really employing someone to take pictures of these cakes or did it pay the person who took for an assignment of the copyright, both options seem to me to be a waste of public funds. These photos were taken by myself as part of my normal course of employment with the IPO and no fee was paid.